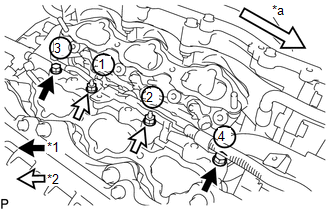 (a) Apply engine conditioner to the fuel injector assembly area shown in the illustration. Using a piece of cloth, clean carbon deposits from the fuel injector assembly and its grooves. Do not clean the tip of the fuel injector assembly. Do not use a wire brush to clean the fuel injector assembly. 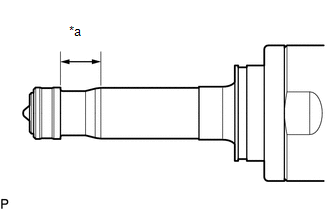 (b) Apply engine oil to the fuel injector assembly contact surface of SST (guide). 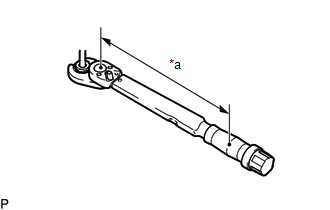 Then attach SST (guide) to the fuel injector assembly with the tapered inner portion facing the tip of the injector as shown in the illustration. (c) Install a new fuel injector seal to SST (holder). Be careful not to install the fuel injector seal to SST (holder) at an angle. Doing so will stretch the fuel injector seal and correcting this problem is very complicated. 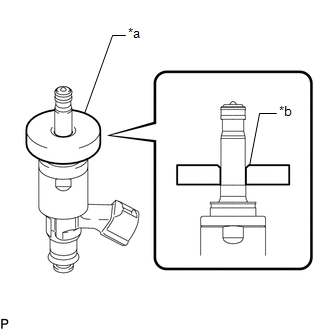 (d) Install SST (holder with injector seal) to the tip of the fuel injector assembly. 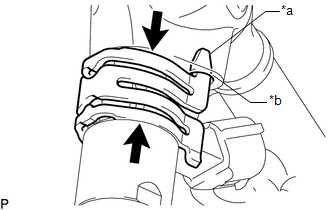 Slide the fuel injector seal downward into the fuel injector assembly groove (injector connector side) with your fingers as shown in the illustration. 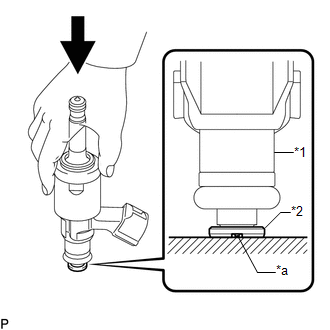 Check that the fuel injector seal covers the circumference of the injector groove as shown in the illustration. 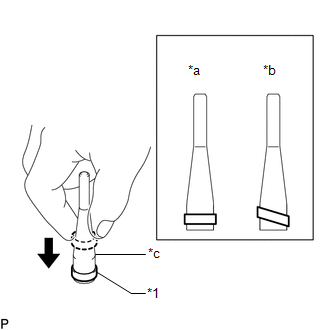 (e) Slowly slide SST (guide) toward the tip of the injector. 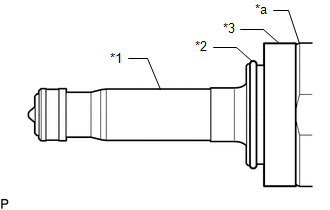 When the injector contact surface of SST (guide) aligns with the seal (injector tip side) as shown in the illustration, hold the position for 5 seconds or more to fully align the seal into the injector groove. Be careful that the fuel injector seal is not pinched between SST (guide) and the fuel injector assembly groove. Replace the seal if it becomes damaged. Set SST (guide) so that its bottom surface and the fuel injector seal are flush. If there is difficulty in sliding SST upward, slowly wiggle it from side to side while sliding it up the fuel injector assembly little by little. (f) After installing the fuel injector seals, check that they are not scratched, deformed or protruding from the fuel injector assembly groove. If a seal is scratched, deformed or protruding from the groove, replace it with a new one. 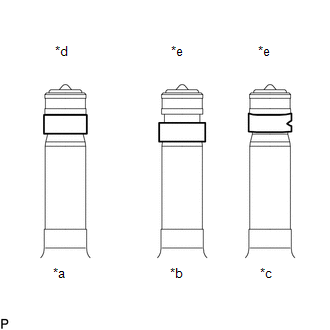 (a) Install a new injector vibration insulator and a new C-ring to the fuel injector assembly. Install the injector vibration insulator aligning it with the tapered side of the fuel injector assembly. Check that the C-ring is securely fit into the groove of the fuel injector assembly. (b) Install a new No. 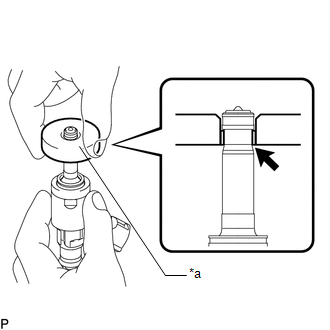 1 fuel injector back-up ring and a new O-ring as shown in the illustration. Check that there is no foreign matter or damage in the groove of the O-ring. Do not mistake the direction of the No. 1 fuel injector back-up ring. Do not install the No. 1 fuel injector back-up ring and O-ring in the wrong order. Do not allow the opening of the No. 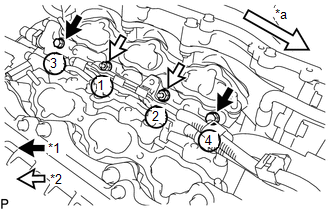 1 fuel injector back-up ring to separate or overlap as shown in the illustration. (c) Set a new No. 3 fuel injector back-up ring so that it is level as shown in the illustration, push in the fuel injector assembly and install the No. 3 fuel injector back-up ring. Make sure that the No. 3 fuel injector back-up ring is oriented correctly. After installing the O-ring, make sure there is no damage or foreign matter. (d) Install the nozzle holder clamp to the fuel injector assembly. (e) Align the protrusion of the nozzle holder clamp with the positioning hole of the fuel delivery pipe and insert the fuel injector assembly. 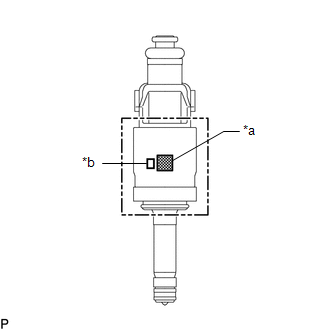 Install 3 fuel injector assemblies with the same flow classification number (the number to the left of the QR code which is 6, 7 or 8) on each bank (6 fuel injector assemblies with the same flow classification number is also okay). Make sure that there is no foreign matter or damage inside the fuel injector assembly insertion holes (fuel delivery pipe). Do not get gasoline on the O-rings or inside the installation holes. If the fuel injector assembly is difficult to insert, apply new engine oil to the chamfered part of the fuel injector assembly insertion hole of the fuel delivery pipe. Also, be careful as it is easier for the injector to fall out of the fuel delivery pipe in this case. Keep the injector straight and do not tilt it when inserting it into the fuel delivery pipe. Check that there is no gap between the fuel delivery pipe and the nozzle holder clamp. (a) Connect the 3 connectors and install the No. 6 engine wire. 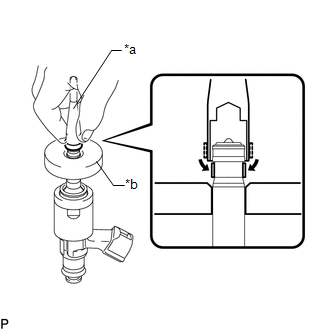 (b) Apply lubricant to the installation hole of the fuel injector assemblies. (c) Insert the stud bolt into the fuel delivery pipe until the screw threads protrude enough so that a nut can be attached. Check that there is no foreign matter or damage to the fuel injector assembly insertion hole of the fuel delivery pipe. When inserting the fuel delivery pipe, push it in evenly without tilting it. (d) Install the fuel delivery pipe RH by uniformly tightening the 2 bolts and 2 nuts in several passes in the order shown in the illustration. (g) Connect the fuel pressure sensor connector. (a) Connect the 3 connectors and install the No. 7 engine wire. (b) Apply lubricant to the installation holes of the fuel injector assemblies. (c) Using an E8 "TORX" socket wrench, install the 2 stud bolts to the cylinder head LH. (d) Insert the stud bolt into the fuel delivery pipe until the screw threads protrude enough so that a nut can be attached. Check that there is no foreign matter or damage to the fuel injector assembly insertion hole of the delivery pipe. 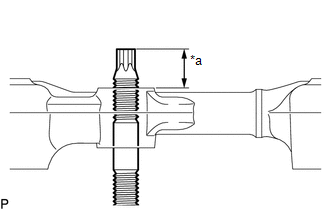 (e) Install the fuel delivery pipe assembly LH by uniformly tightening the 2 bolts and 2 nuts in several passes in the order shown in the illustration. (g) Engage the clamp and connect the No. 7 engine wire. (h) Connect the fuel pressure sensor connector. (i) Engage the 3 clamps and connect the No. 6 engine wire and No. 7 engine wire. (j) Connect the 2 connectors. (a) Temporarily install the 2 union nuts of the fuel delivery pipe RH and fuel delivery assembly LH to the No. 2 fuel pipe sub-assembly until they are completely fastened. (b) Use a 17 mm union nut wrench, tighten the 2 union nuts of the No. 2 fuel pipe sub-assembly. If the 2 union nuts cannot be fastened, loosen the nuts of the fuel delivery pipe RH and fuel delivery pipe assembly LH, and then fasten both union nuts. Do not adjust the torque in the loosening direction. The No. 2 fuel pipe sub-assembly can be reused 10 times. Install the union nut wrench parallel with the torque wrench.